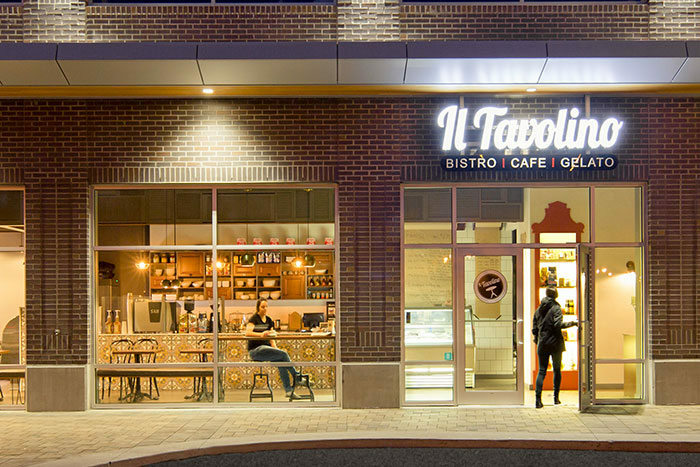 A collaboration between Hatch Interior Design and Magpie Interiors, Il Tavolino Italian bistro is located in Kelowna, BC, Canada. Il Tavolino Italian bistro has been opened since the summer, so we figure you’re thinking “It’s about time we put some final project photos up already”, right? We couldn’t agree more! If you haven’t been in to check it out by now, you definitely should. Not only is the space beautiful, but their food, coffee, and gelato are equally fantastic. 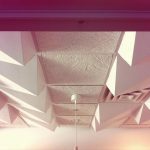 You may recall our post about the concept for the Il Tavolino restaurant interior design in Kelowna. 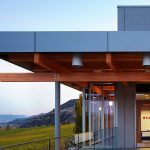 To refresh your memory, upon return from a year in Florence, Italy, husband-and-wife team Sarah and Sandro DeAngelis were inspired to open their own Bistro right here in the sunny Okanagan. The custom wood beverage hand-off platform features the Il Tavolino logo etched into the surface. Sarah, a talented interior designer with her firm Magpie Interiors had loads of experience with residential projects, but felt like Hatch (as a commercial interior design specialist) would be the perfect fit for a successful collaboration. Lisa from Canadian Restaurant Supply also provided her knowledge on commercial kitchen design, an essential service for any café or restaurant design. Formally trained in the art of Italian cuisine while in Florence, Sandro knew that the food would be scratch-made and locally sourced – fresh is best right? Inspired by his simple, yet flavorful menu, our extended team of owners and designers agreed that a relaxed classic-industrial style was the way to go. With Italy as our inspiration, we had so many amazing ideas to draw from. The artisan bistro is complete with authentic encaustic tile and venetian plaster to conjure a sense of old world charm, while craft paper menus add an artisan flavour. 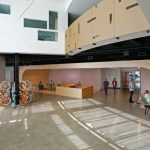 The floor plan had to work with 3 different entrances – yep, 3! It was a challenge, but we arrived at placing the kitchen and service areas at the core and the seating along the large expanse of windows. A long row of bench seating offers flexibility and stimulates conversation and community, while a small alcove area provides some privacy. We repeated the classic encaustic tile pattern on the metal canopy suspended above the private alcove and again by staining the concrete floor in feature areas. The layout of the space being quite linear and modern, needed traditional elements to communicate the casual, yet old-world style we wanted to achieve. 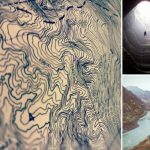 The foundation for the design arrived in the form of pattern. 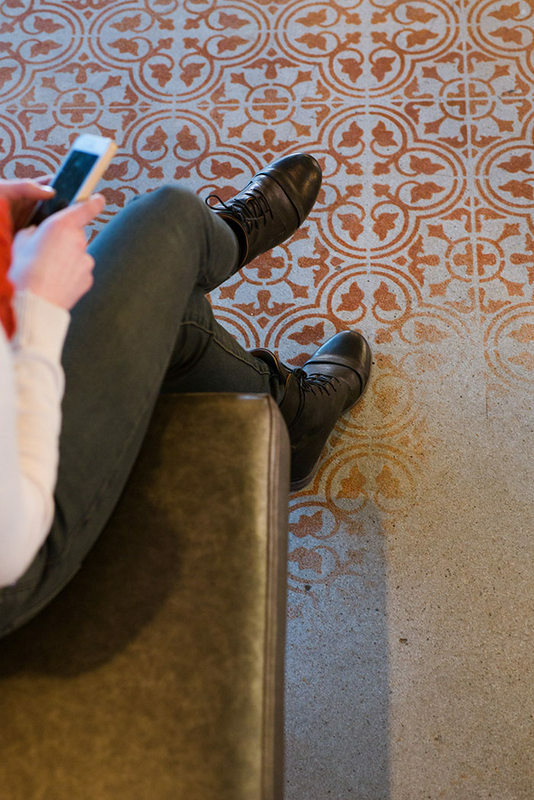 When Sarah was in Italy she was taken by the intricate patterned floors – we wanted to communicate this within the design. 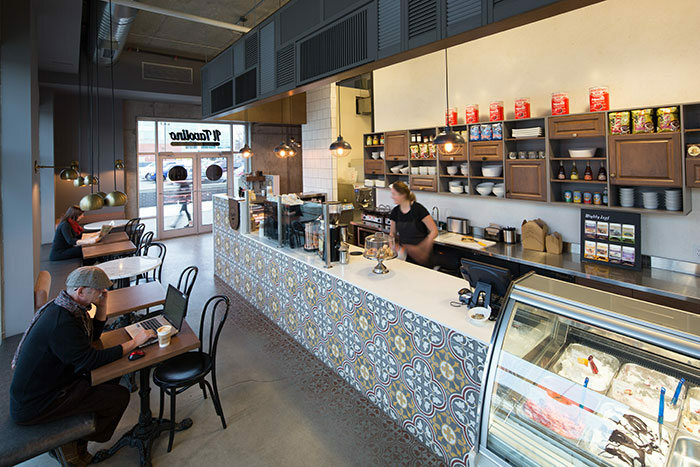 A traditional encaustic tile decorated with the most stunning and colorful pattern was sourced with the motif repeated on the stained concrete floor and metal canopy over the private seating area. 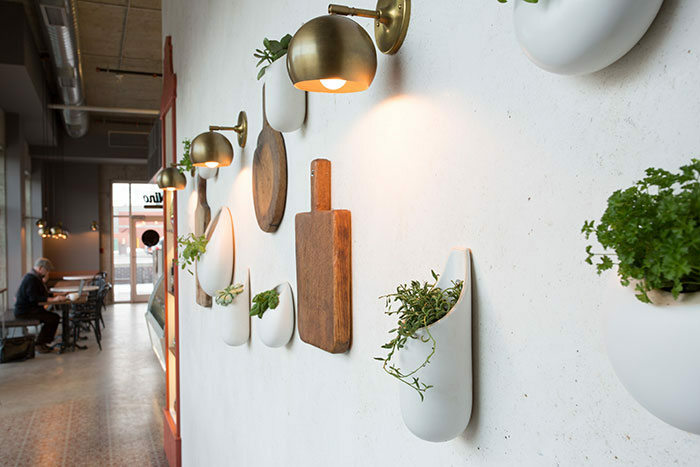 There is no shortage of natural light, so we incorporated suspended planters with fresh herbs. Venetian plaster walls infuse character and depth to the space, while mismatched cabinetry with an eclectic array of handles provide rhythm and interest. 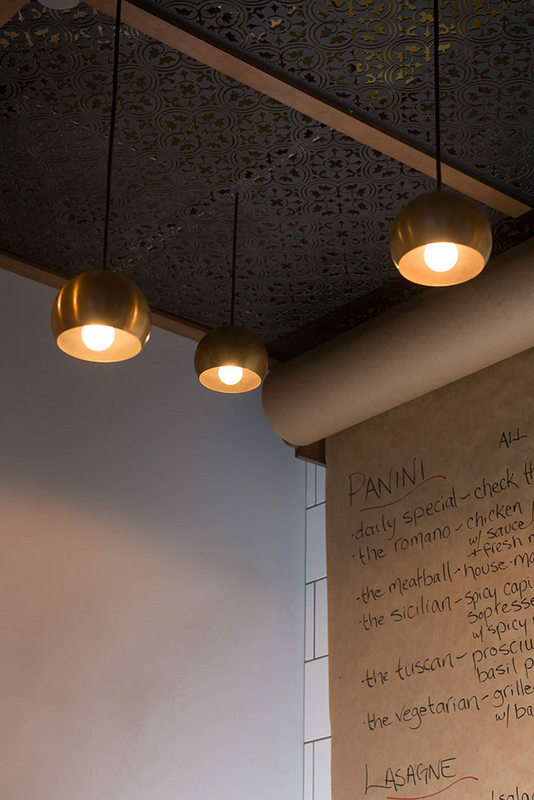 Timeless café chairs, marble tables, and sleek brass lights heighten the classic-industrial character while craft paper menu boards add artisan charm. 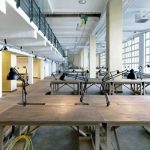 But, the space wouldn’t be complete without the shabby-chic bulkhead finished using repurposed slatted doors and the retail cabinet custom cut to emulate one of Florence’s historic cathedrals – the Duomo. 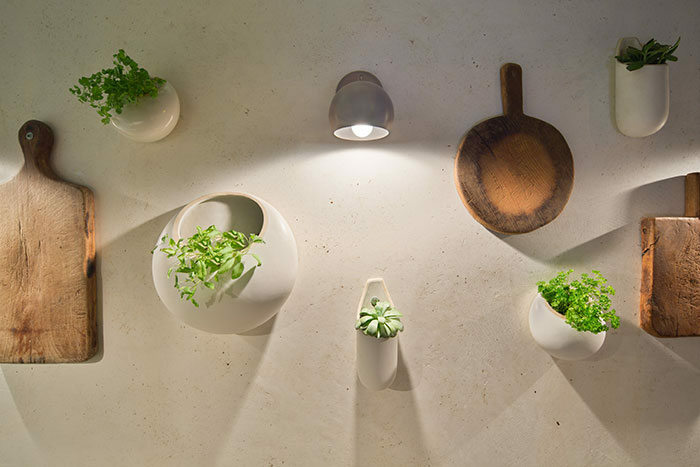 Vintage wood cutting boards decorate the space between the herb planters – a stunning art piece that’s simply ‘perfetto’. With a South-East exposure, natural light floods Il Tavolino for most of the day. What better opportunity to introduce living greenery? Suspended planters displaying a variety of fresh herbs are dispersed between vintage wood cutting boards adding to the artisan feel of the bistro and communicating the authentic food being served. Il Tavolino feels very romantic all lit up at night, certainly beckons passersby to stop in for a warm affogato – that’s gelato topped with a shot of espresso. Yum! We feel the project was a huge success. 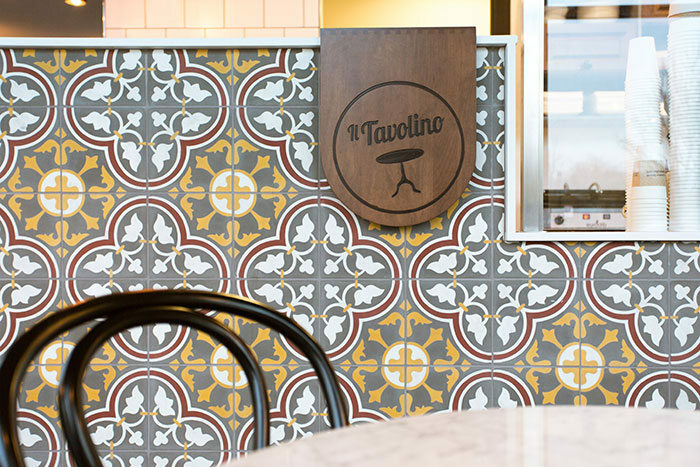 Not only were we part of a great collaboration with Magpie Interiors, the space is highly functional, and appealing to Il Tavolino’s growing clientele. Within weeks of opening the place was hopping! If you’re passing by, stop in to enjoy a homemade gelato and take home some meatballs for dinner – your stomach will thank you! 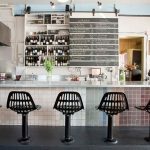 » Opening a restaurant or cafe? We can help. 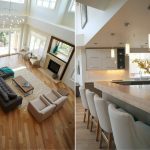 Contact Hatch Interior Design located in Kelowna, British Columbia – Because Good Design is Good Business™.